A severe Sand Storm has Hit most of the Gulf Including Kuwait and Riyadh as well as Parts of the Eastern Province to Bahrain and Qatar. This Sand storm was very heavy that it stopped airports and sea ports across much of the area for at least 3 to 4 hours. A cold front heading east over Iraq has pushed south with high speed winds reaching 60 K/m pulling with it huge amounts of sand as you can see on the Sat Picture. Weather Warning for Jeddah and Mekkah area Today Wednesday 15th for a chance of severe thunderstorms and very heavy rain possible, dust storms and hail as well as high winds. Due to the floods of the past this Warning needs to be taken seriously and you need to be prepard for any flash floods, these storms can develop suddenly without any notice and in few hours becoming a major thunderstorm dumping big amounts of rain in few hours and re developing again. stay vigilant and stay safe. Its Getting warmer for sure, but not as warm as it usually is in the Gulf Area which is a good thing ! There has been a freeze in fronts over the area and almost no rain for the past few weeks and this is normal, it will though change starting this week end and by the end of this week ! there is an excellent chance in the coming few days for few thunderstorms to develop over Jeddah and Makkah area so watch out for sudden heavy rain over there in the coming 48 hours !! 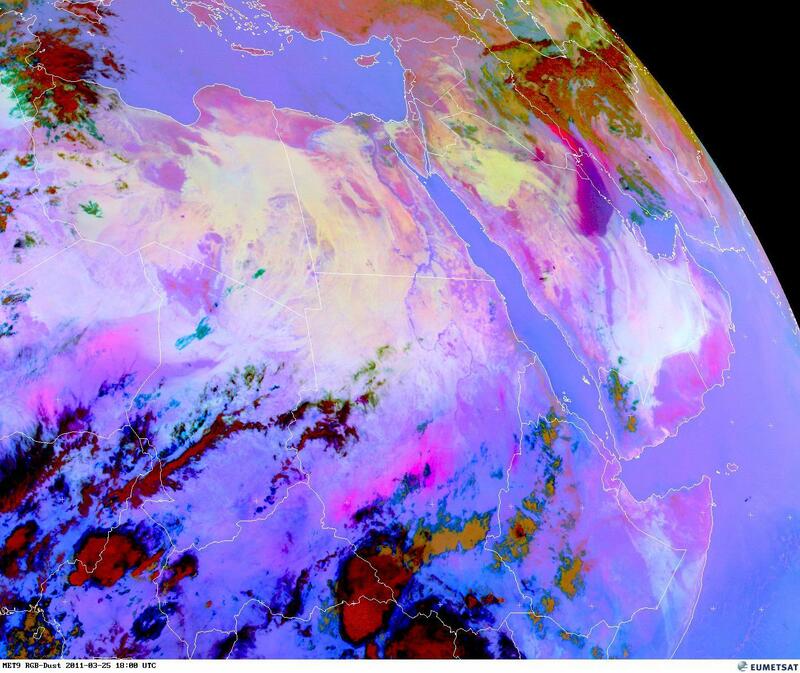 this system will start to affect the central parts of Saudi Arabia including Riyadh and Qassim by this week end with rain and thunderstorms, and will stretch towards the eastern part of the Gulf. The heavy rain is expected more towards the north eastern parts including Kuwait , more than one front is expected to move across the area in the coming 2 weeks. Lebanon and the Mediterranean still expects heavy rain in the coming 48 hours, thunderstorms and strong winds are expected to affect the area.